In 1819, fledgling publisher Anton Diabelli commissioned 50 composers to write a variation on a waltz he had created. Beethoven rejected the invitation, dismissing Diabelli’s waltz as ordinary. He then changed his mind and created not one but 33 variations on Diabelli’s theme. Why? Why would a composer at the height of his powers become obsessed with such an insignificant little waltz, and build a major work on it? 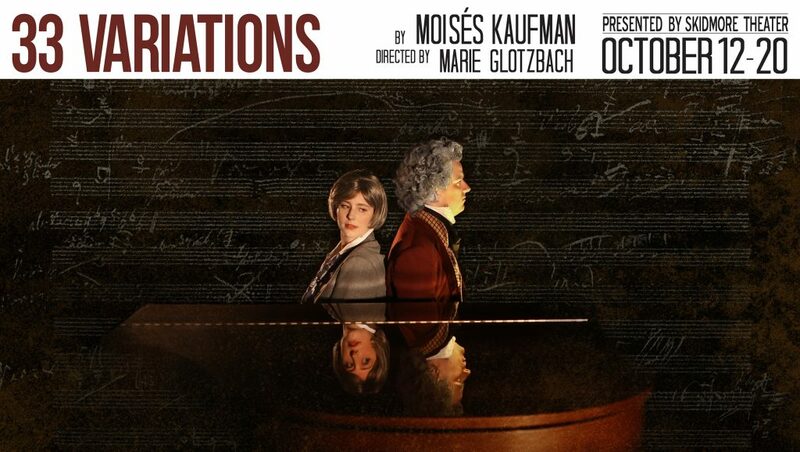 Kaufman’s play weaves Beethoven’s artistic journey with that of Katherine, a contemporary musicologist wrestling to pin down the source of the composer’s fascination with the simple waltz. Deciphering clues left behind in Beethoven’s notebooks and letters, Katherine delves into his compositional process and daily life, finding even greater insight into her own obsession with genius. STLN co-editor Kallan Dana '19 takes us into the two timelines of the Fall 2018 Black Box Production, "33 Variations." Staff writer Nina Slowinski '19 covers the interdisciplinary collaboration behind this semester's black box production, 33 Variations. Spencer Evett '21 shares his experience from a workshop with Grant Varjas, a teaching artist with the Tectonic Theater Company, with a video by Hanna Yurfest '21 and Dante Haughton '19.